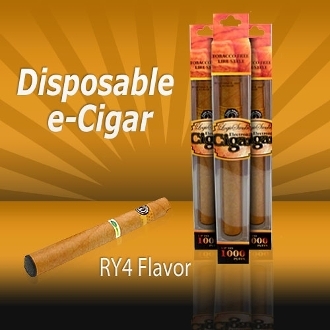 RY4 Disposable Electronic Cigar flavor is smoky and smooth e cigar with nutty and caramel undertones. This well rounded flavor is the perfect choice for someone with fine taste. It has a nice throat hit but won’t overpower your palate. It is a sweet vape that allows its tobacco side to shine through and will leave your taste buds wanting more.